Beginning this fall term, Palm Beach State will offer an Associate in Science degree in Supply Chain Management. Classes start Sept. 19, and an information session will be held Wednesday, August 30, at 5:30 p.m. in the Lake Worth campus library, room LL205. The Supply Chain Management A.S. degree is a good fit for anyone looking to start or advance a dynamic career in a rapidly growing field. Supply chain professionals keep things moving, ensuring the efficient delivery of consumer and industrial goods. Program graduates could find themselves working for a distribution facility, carrier, port, manufacturer, retailer, third-party logistics firm, or practically any organization that has materials to source or products to move. Due to the expansion of global markets and improvements in transportation infrastructure, South Florida has become a hub for supply chain management careers. The Port of Palm Beach is the second fastest growing port for U.S. exports, and in the last few years, several major distribution and logistics companies have built facilities in the county. 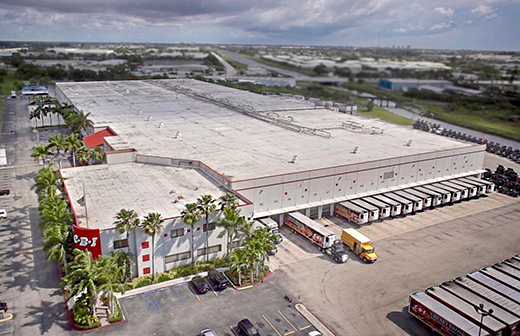 According to the Business Development Board of Palm Beach County, the county is home to 14 large distribution centers occupying over 3.3 million square feet, with more on the way. Cheney Brothers, Inc., a leading Southeast food service distributor that also exports worldwide, has 1,000 employees in their 450,000-square-foot Riviera Beach facility alone. Warren Newell, CBI’s director of development, believes that young adults going into the workforce often overlook the distribution business, not realizing how many jobs are in South Florida. Chris Flaschberger, general manager for the Walgreens distribution center in Jupiter, is always hiring for the 800,000-square-foot facility. The two-year, 60-credit A.S. degree program will cover a wide-range of knowledge and skills, including warehouse management, supply chain modeling, transportation and logistics, as well as industry-targeted courses in ethics and business law, database management and accounting. Internships, guest lectures and visits to local industry sites will reinforce learning. Program graduates will be ready for positions such as front-line supervisor, analyst or management trainee responsible for purchasing, route planning, import/export compliance, warehouse operations and more. Graduates also may pursue a bachelor’s degree at PBSC and potentially other institutions. In the spring 2018 term, PBSC will add Logistics and Transportation Specialist, a one-year College Credit Certificate program designed for people needing a faster route to start or advance a career. Allen and her team are recruiting industry professionals for a Business Partnership Council. Like the councils serving other PBSC career programs, the Supply Chain Management council will offer support and guidance to keep the program responsive to industry needs. “At the end of the day, our graduates are their potential employees,” Allen noted. 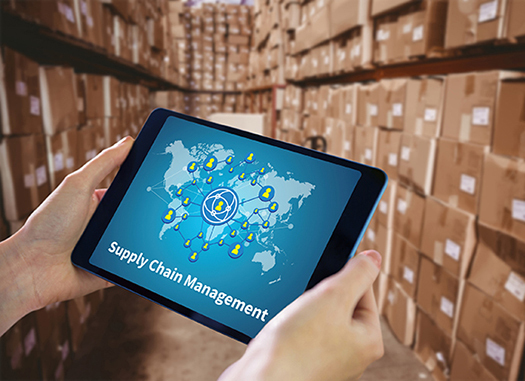 For more information about the Supply Chain Management programs, contact program director Jenny Posadas at 561-868-3864 or posadasj@palmbeachstate.edu.